Beis HaMidrash LaTorah, Hebrew Theological College, a member of the Touro College and University System, is excited to announce that beginning in the fall of 2018, Rabbi Moshe Revah will join our Yeshiva as a Rosh Yeshiva in the Beis Midrash and College Program for Men. Rabbi Revah will teach the advanced Gemara shiur in the morning and afternoon as well as Night Seder shiur for 12th grade students in Fasman Yeshiva High School. Rabbi Revah, originally from Toronto, learned in the Passaic Yeshiva, Bais Midrash Gavoah in Lakewood and Brisk in Israel. He spent six years in Kollel in Israel learning under Rav Yaakov Hillel before joining the Chicago Community Kollel. He is currently the Rav of Ohel Tefillah, a new shul in West Rogers Park, and is a prominent senior member of the Chicago Community Kollel. For the past six years, he has delivered a daily Daf Yomi shiur, various Gemara and Halacha shiurim and is a widely sought after speaker in the community. Rabbi Revah completed his first sefer, Revach Barur on Hilchos Ribbis, about the laws of not charging interest and is about to release his newest sefer, Revach Milseih on Hilchos Basar B'Chalav, about the laws of milk and meat. He is a frequent contributor to Halacha Encounters, a weekly publication of the Chicago Community Kollel. 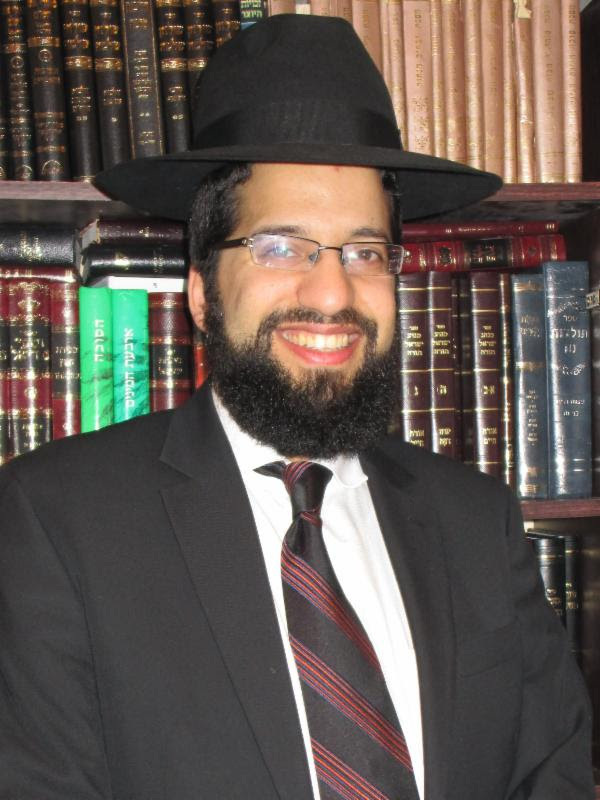 "We are extremely excited to welcome Rabbi Revah to HTC. He is a dynamic Talmid Chacham and a very well-liked Rav and Rebbe," said Rabbi Avraham Friedman, Rosh HaYeshiva. Rabbi Shmuel Schuman, CEO added, "In an effort to restructure the learning in the Beis Midrash, bringing in Rav Revah will greatly complement our vibrant team of Roshei Yeshiva led by our Rosh HaYeshiva, HaRav Avraham Friedman. Our students are sure to benefit from Rabbi Revah's vast Torah knowledge and genuine warmth." Hebrew Theological College, founded in 1921, is committed to producing Torah-imbued college graduates who will serve the Jewish community and humanity through their professional and personal vocations. Hebrew Theological College provides coursework leading to undergraduate degrees in Judaic Studies, Accounting, Business, Education, English, Health Sciences, Psychology and Speech and Language Pathology. In addition to the two college divisions - the Men's Beis Midrash & College program and the Blitstein Teachers Institute for Women - Hebrew Theological College also includes the Fasman Yeshiva High School preparatory division for young men. Hebrew Theological College is accredited by the Higher Learning Commission, and a partner in serving our community, supported by the Jewish Federation/Jewish United Fund of Metropolitan Chicago. Hebrew Theological College is a member of the Touro College and University System. For more information about Hebrew Theological College, please visit www.htc.edu.